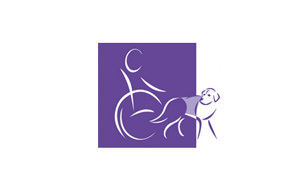 Canine Partners provides and trains assistance dogs to transform the lives of people with disabilities all over the UK. These amazing dogs are trained to help with everyday tasks such as opening and closing doors, unloading the washing machine, picking up dropped items, getting their owner dressed and undressed, pressing buttons and switches, and raising the alarm in an emergency. They provide their owners with increased independence, quality of life, confidence, routine and companionship. Canine Partners has created over 500 partnerships since it began in 1990, and it aims to create another 80 new partnerships in 2015. More than 130 puppies are currently in training and 2015 is a special year as the charity celebrates its 25th Anniversary. 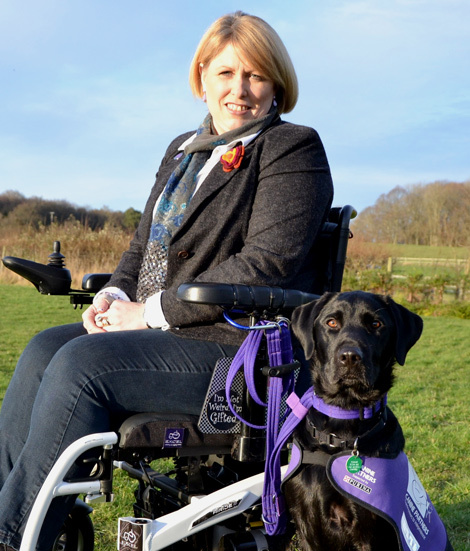 We’re passionate about the work we do with Canine Partners. As well as being its principal sponsor and supporting its dogs in training, we also support a range of other initiatives including the Big Dog Walk campaign and several fundraising events including the charity’s annual Summer Show. Trusts and Corporate Manager Cat Harvey said “The outstanding support we have received from Purina over the last 15 years has played a vital role in the growth of the charity. Since 2000, when Purina started supporting Canine Partners, we have sponsored several dogs through their training. Kibble and Jupiter are the latest examples. Kibble is a black Labrador and was born in March 2012. He was trained by one of the charity’s many volunteer puppy parents in East Sussex. Kibble attended weekly training classes to learn how to behave well in public and to sit, stay, lie down and come back when he was called. In his first year, Kibble was socialised in many places and he learnt to be calm in all sorts of different environments including busy shopping centres, doctor’s surgeries, train stations and pubs and restaurants. When Kibble was around 14 months old he came to the dog charity’s training centre in West Sussex and met his Advanced Trainer, Leona. For the next 15 weeks he spent Monday to Friday working with Leona and all the other dogs to learn very special skills that would prepare him for his life as an assistance dog with his future partner. Each weekend Kibble went home to his fosterer’s house and had a good rest before starting back at school on Monday. Kibble was assessed very carefully whilst he continued his training and it wasn’t long before Leona knew he was ready to meet his potential future partner, Shelley. Shelley has Ehlers Danlos Syndrome (EDS), a rare disability which affects muscles, ligaments and joints, causing dislocations and severe pain. A programme on the television about someone with a canine partner who had the same condition as Shelley prompted her to apply for one of our dogs. She said the day she met Kibble, after years of feeling so low physically and mentally, feeling she was a total burden on her family and losing many friends, “there was a light at the end of my long dark tunnel, the start of new beginnings”. Shelley and Kibble have a very strong bond, which is clear for all to see. She says Kibble has given her back her confidence, her smile and her life. Kibble and Shelley clicked straight away and it was clear to everyone that all Kibble’s hard work would soon start to reap rewards. In January 2014, Kibble went home with Shelley and he is now part of his new family, helping Shelley every day and giving her independence so she can be less reliant on her husband and children. Kibble, Shelley and her family all came back to Canine Partners Southern Centre in 2015 to have a reunion with everyone who helped create this partnership and Purina was invited along too. We were so proud to hear what a difference Kibble has made to Shelley’s life. Purina is also very pleased to have sponsored another successful partnership between black Labrador Jupiter and Graham. Jupiter was born in February 2012 and he was also trained at the East Sussex training satellite for his first year with his puppy parents. Jupiter is a very loving dog and he showed great promise from an early age, taking to his training with great enthusiasm. Jupiter was trained at Canine Partners’ Southern Centre by Advanced Trainer Rebekah. He took to all the advanced skills training straight away and he was matched with Graham in 2013. 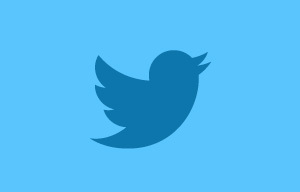 Graham has Osteoporosis and is a Brittle Asthmatic, which causes breathlessness and chronic fatigue. In December of that year Jupiter went home to South Yorkshire and Graham says he has made a huge difference to his life. 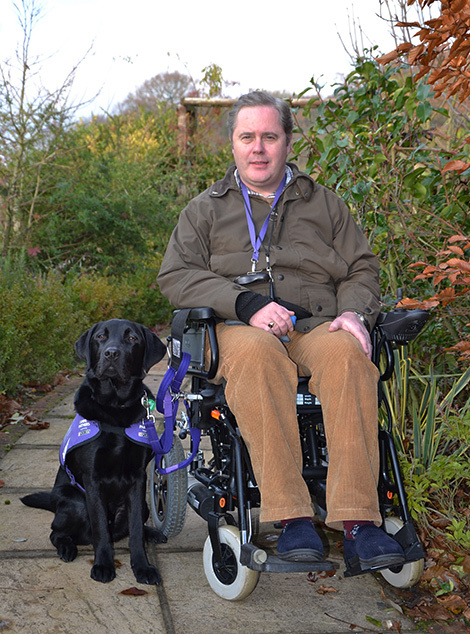 Jupiter, Graham and his family all came back to Canine Partners Southern Centre in 2015 to have a reunion with everyone who helped create this partnership and Purina was invited along too. We were so proud to hear what a difference Kibble has made to Graham’s life. Volunteers play a vital role in training Canine Partners dogs as well as helping to raise funds and awareness of the charity. 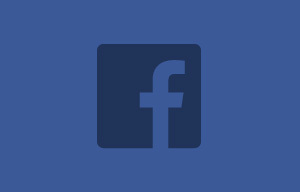 They also get involved in helping to create and maintain the partnership between dog and owner. Volunteer puppy parents train the pups in their homes under Canine Partners’ supervision and take part in regular training classes. There are various puppy training groups around the UK. This is an excellent opportunity to help the charity fulfil its mission and plays a crucial role in the early days and months of preparing a very young dog for their important future as a working assistance dog. Canine Partners covers all expenses. This role would suit those with plenty of time to devote to a new hobby. If you only have limited time available, this may be the option for you. You can either foster pups for short periods, as long as you are near to one of the various puppy training centres, or, if you live near the Heyshott Centre (West Sussex) or the Fields Farm Centre in Leicestershire (Midlands) you could foster dogs at weekends or overnight. This weekend fostering is for older dogs in Advanced Training. No training of the dog will be required but you must be able to collect the dog on a Friday afternoon and return them first thing Monday morning and provide them with a safe and caring environment for them to relax and enjoy home life in at the weekend. We have had a number of dogs with us of all sorts of types and ages – the whole family helps out including my daughter Laura who’s keen to become a dog trainer herself when she’s older. We love doing it as we don’t have the time to have a dog full time in the family but love them and want to make a difference to Canine Partners if we can. Canine Partners can supply a fundraising pack should you need some ideas and information on how to promote your event, how to deal with the money and any legal aspects to think about.